A federal judge has frozen all lawsuits against the City of Detroit related to its bankruptcy, clearing the way for Chapter 9 reorganization to go ahead, according to news reports. 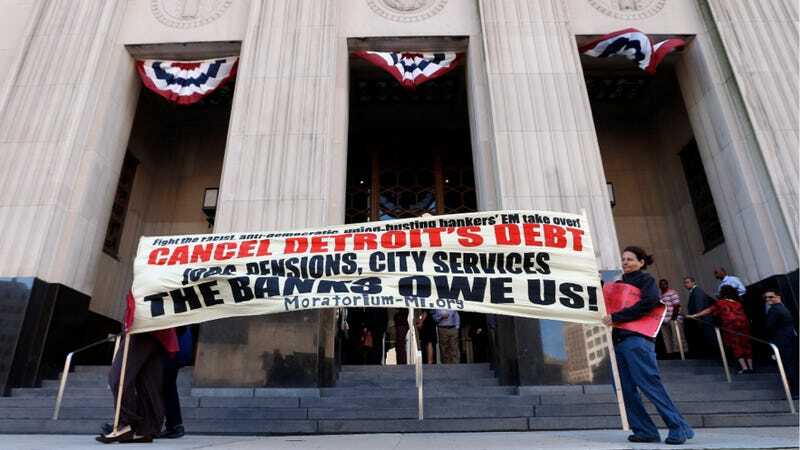 The Detroit News reports that U.S. Bankruptcy Judge Steven Rhodes issued the order this afternoon after hearing hours of arguments from lawyers representing the city and creditors. Opponents of the bankruptcy claim it is not valid and was designed to slash retiree benefits, the newspaper reports. Rhodes conceded that his ruling enhances the likelihood of a Chapter 9 bankruptcy, but did not actually rule on whether the city is eligible for that yet or not. That is likely to come later.